If you’re not already using ClayMend give it a try today. ClayMend™ is designed to loosen compacted clay soil. 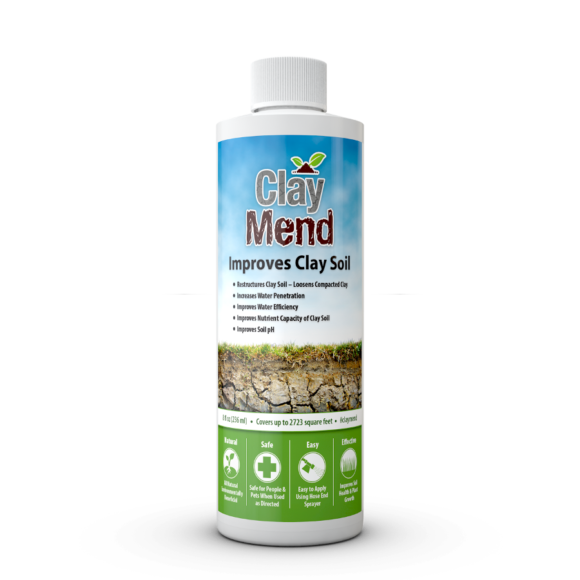 It improves the environment of the soil encouraging increased microbial activity that works to open hard clay soil that allows for better root development. It breaks down destructive salt in the soil. 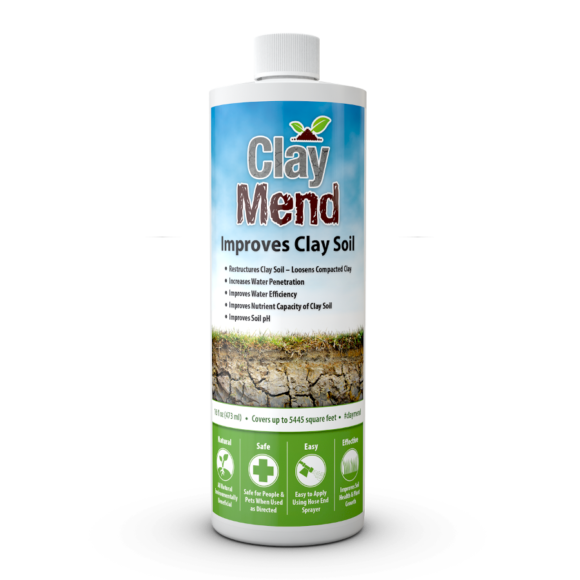 Unlock the potential of your clay soil for more robust plant growth while improving soil pH, nutrient storage capacity, and water efficiency. ClayMend™ is easy to use, long lasting and can be applied to lawns, shrubs, trees, flowers or vegetables where traditional clay soil amendments are impractical. 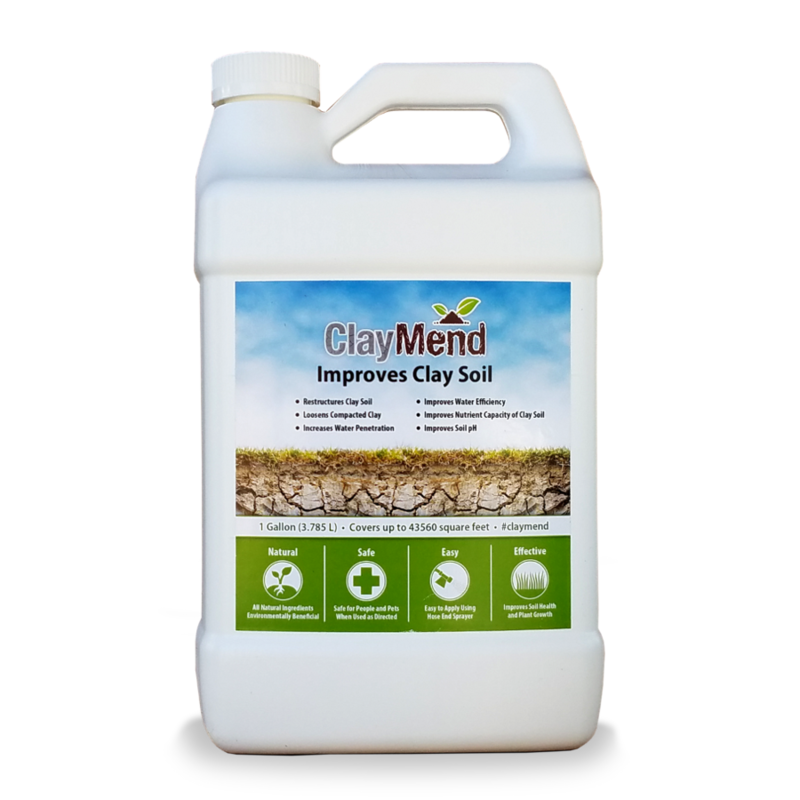 ClayMend™ can help you achieve more abundant plant growth in your hard clay soil. 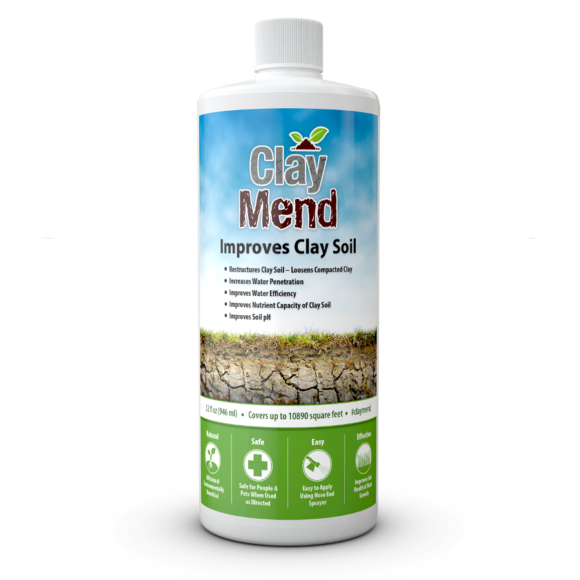 Apply 0.294 oz (10 ml) of ClayMend™ per 100 square feet of lawn or garden 4-5 times the first year then 1-2 times per year thereafter. 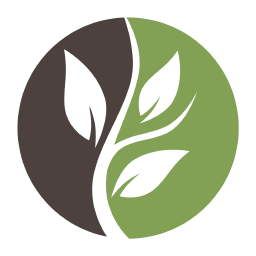 Tilling, turning or aerating soil will increase the amount of penetration and can speed results but is not required. 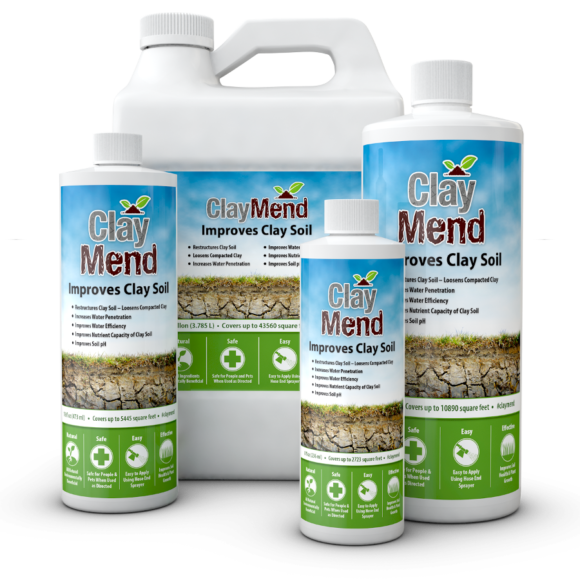 ClayMend™ is applied based on ounces per square feet not ounces per gallon. Measure your application amount using a measuring cup or the measurement gradient on applicator bottle. 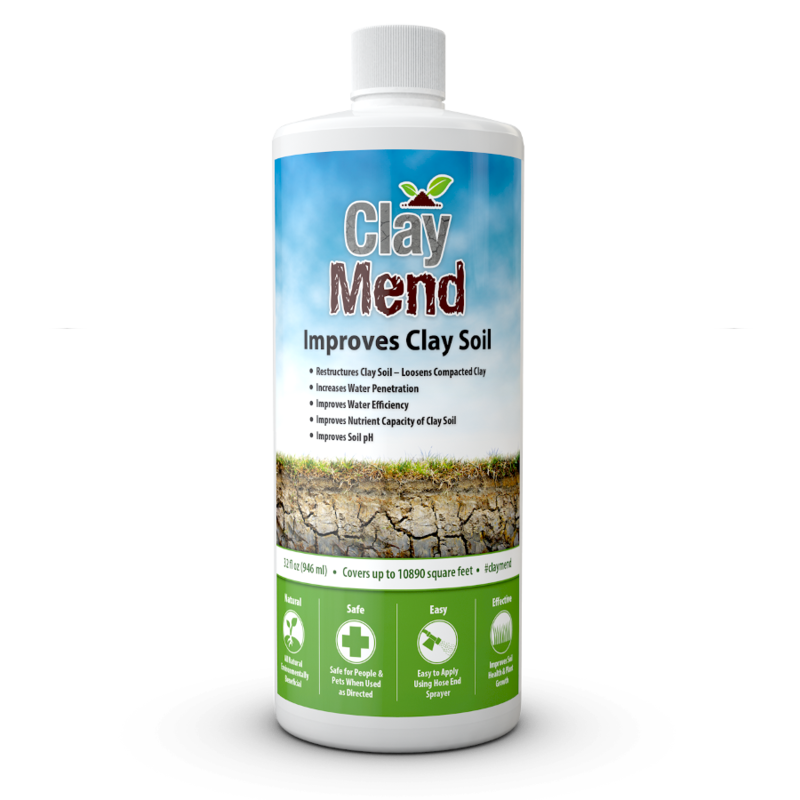 Apply entire contents of applicator bottle evenly to the lawn or garden area. Undiluted ClayMend™ can be stored for up to 60 months in a closed upright position near room temperature.